Even though leprosy has been present throughout the world earlier than recorded history, leprosy is a mysterious disease about which very little has been known until recently. 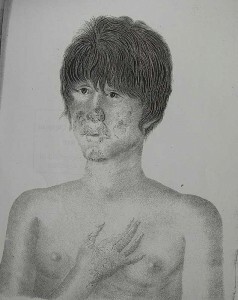 From a historical point of view what we now know as leprosy was called many different names in many different locales and this was further complicated because different people exhibited many different symptoms. It took some time before medical people decided that what was being observed was a single disease entity. 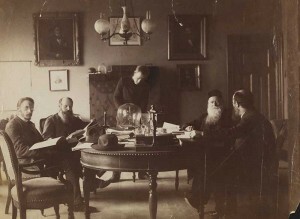 Hebra and Kaposi cite Danielssen and Boëck as having supplied the first clear description of the pathology of the disease. They then state emphatically that this much is now known: “that wherever lepra exists, at the present time, it always presents the same characters, and that the lepra of all countries is identical” (131). In addition, they determine that differences in symptoms in various localities are not significant and do not represent different varieties of the disease. Therefore, “in consequence of this discovery, all the names hitherto applied to the disease which are derived from its geographical position … must be given up, and one designation, founded on the history of the disease, and which may be understood by the physicians of all countries, must be substituted for them, once for all.” (131) They pronounce Lepra to be the name which they will use in future. There were differences in how the disease presented itself in people living in the same area or in groups in different areas: “Cases of it differ widely in regard to form, localisation, the organs of the tissues affected, in the order, combination, duration, and intensity of the symptoms, and in the extent to which the system is affected” (135). Different individuals were affected to different degrees over different time spans: “the time of appearance, the duration, or the severity of the symptoms, may give rise to variation, and many of them may remain of secondary importance, or be altogether absent” (135). In fact, there is a problem in identifying forms of lepra because “they often pass imperceptibly into one another, or combine together, and may all be met with at once on the same individual” (135). As a result, depending on who has seen what, at what particular point in the course of the disease, certain features of the disease could be emphasised over others. 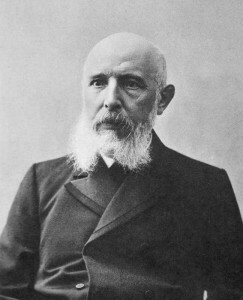 When Gerhard Henrik Armauer Hansen described leprosy In Leprosy: in its Clinical and Pathological Aspects, he examined a section of fresh nodules under the microscope and observed small straight rods in the fluid of the preparation. These were the lepra bacilli that he first discovered in 1871 (Hansen et al., 1895, p. 31). In a fresh preparation, they could be observed to be moving actively. He described them in larger or smaller clumps of a brownish colour that were very granular. They were in the cells and in all the other organs affected with leprosy. He suggested that they may very well serve as a diagnostic indication for leprous affections because, in his experience, they were always present, except in very young nodules. Then the genome of M. Leprae was mapped. 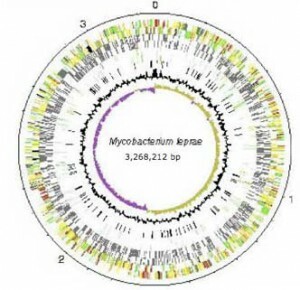 M. leprae can now be conceptualised as a series of genes that can be grouped and described, often by analogy with those identified in another genome, such as M tuberculosis. Technologies other than the microscope are available to view it. Instead of a sample of tissue in serum under a microscope, it now also exists as a genome database that can be explored via MycoBrowser, a genome browser located on the web at http://mycobrowser.epfl.ch/leprosy.html. A search of the genome can be conducted by gene name, region in the genome, gene function, by DNA or protein patterns, by a search of the DNA sequence or protein sequence. Results are presented as a list or a drawing, and the DNA or protein sequence of a single gene can be viewed or downloaded (Jones, 2001, pp. 470-7). The whole sequence of the chromosome is available. Its density, length, number of genes, pseudogenes, and other respective genetic components are enumerated. Firstly, it is possible to describe something of the evolutionary changes that have taken place. M. leprae has undergone a loss of genes and a subsequent loss of ability to respond to different environments. It is described as a decaying genome: one that has undergone considerable downsizing during its evolution. It has a trajectory and an ancestry – a former self that was more complex. Less than half of the genome contains functional genes. Its “immediate ancestor may have already undergone reductive evolution and … a single clone then expanded and … disseminated globally” (Eiglmeier et al., 2001a, p. 390). Adaptation has been selective and self-interested. Chromosomal rearrangements, gene deletions and duplications have had a profound effect on the biology of M. leprae and in turn on leprosy itself (Cole et al, 2001, p. 459). Yet this decay is evidence of a reduction in redundant functions so that the major repair pathways are still intact (Dawes et al., 2001, p. 411). *2 They gather together a litany of names: “Lepra Arabum, Elephantiasis Graecorum, Leprosy of the English, Spedalskhed of the Norwegians; Aussatz, Maltzey (of the Middle Ages), Limafalsk (Iceland), Malum mortuum, Malmorte (Salernitan school), Mal rouge (de Cayenne), Mal rosso, juzam (Arab.) Krimskaia, Lepra taurica, Rosa asturiensis, Kushta (India), Fa-fung (China), Koban (Africa), Kokobay (West Indies), Ngerengere and Tuwhenna (New Zealand) Morbus Phoenicius, Morbus herculeus, Satyriasis, Leontiasis (of the old Greeks), Zaraath (Hebrew), Morphoea, Spiloplaxia, Tyria &c., &c” (118). * 4 Adapted from Jo Robertson, Leprosy and the elusive M. leprae: Colonial and Imperial Medical Exchanges in the Nineteenth Century, Hist Cienc Saude Manguinhos. 2003;10 (Suppl 1):13-40. 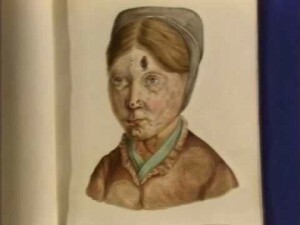 Ferdinand Hebra and Moriz Kaposi, On the Diseases of the Skin Including the Exanthemata, ed. and trans. Waren Tay (London: The New Sydenham Society, 1875) 119. 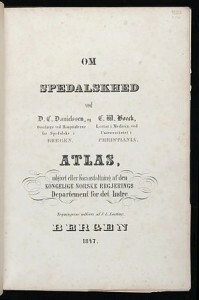 D C Danielssen and C M Boeck, Traite de la Spedalskhed ou Elephantiasis de Grecs (Bergen: D Bayer, 1847). Charles C Shepard, “Acid-Fast Bacilli in Nasal Excretions in Leprosy and Results of Inoculation of Mice,” American Journal of Hygiene 71 (1960): 147-157 and “The Experimental Disease that Follows the Injection of Human Leprosy Bacilli into Foot-Pads of Mice,” Journal of Experimental Medicine 112 (1960): 445-54. ——, “Multiplication of Mycobacterium Leprae in the Footpad of the Mouse,” IJL 30.3 (1962): 291-306.
WHO, Multidrug Therapy Against Leprosy: Development and Implementation Over the Past 25 Years, 4 (WHO: Geneva, 2004) WHO/CDS/CPE/CEE/2004.46.